Since 1965, AstroTurf has been a household name for durable indoor/outdoor sports turf. Through decades of research, testing, and development, AstroTurf has evolved to be more and more like natural turf, offering a range of heights, color variations, and plushness. 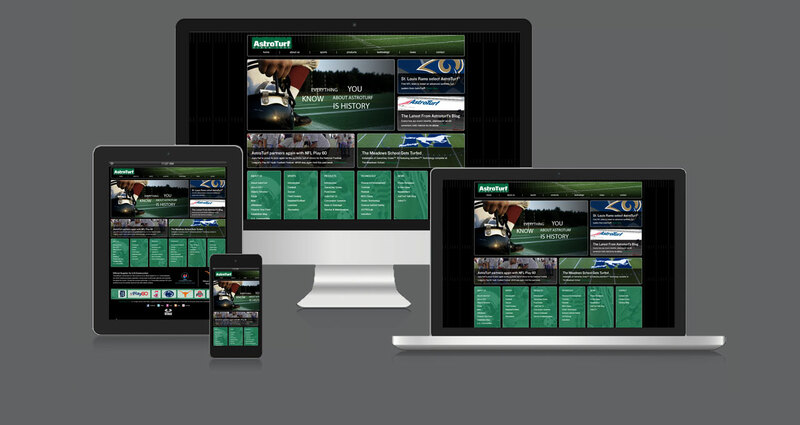 The AstroTurf website educates the consumer about product line options, provides extensive information about the science and use of artificial turf, and keeps visitors up-to-date with major company installations at stadiums. The website also provides users the option to design their own field with an interactive element where they can select their field’s color, logo, layout and view. This feature gives potential buyers the opportunity to visualize what AstroTurf will look like on the field.